Welcome to Smith and Company Painting Inc. where quality, professionalism, and honesty are our guiding principles. 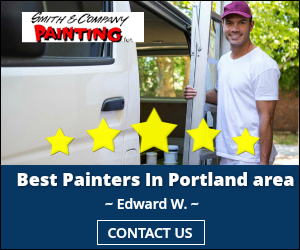 We have been a family paint and floor coatings contracting business for the past 50 years, providing services for customers in the McMinnville – Portland Oregon area. 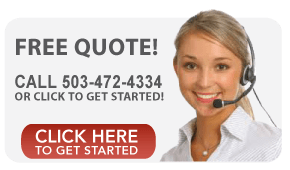 Why Smith and Company Painting, Inc.
Do you know who you are hiring to come into your home or commercial property? Has your paint and coatings contractor completed drug testing and background checks for their employees? The 10 qualities to look for before hiring a contractor. We offer a wide variety of design solutions to maximize the functionality and appearance of your restaurant. Our bacteria prevention and skid resistant concrete floor coatings are perfect for commercial kitchens with decorative options for dining areas. We use heat resistant paints near hot ovens and stoves areas that are easy to clean and maintain. Our commercial services include concrete floor coatings, walls and ceilings. We use specialty polyurea floor coatings, epoxy floor repair, and various types of paint depending on the surface. For metal buildings we clean and prep the surface and apply high adhesion primers. We are experienced working with steel, aluminum and galvanized surfaces as well as stucco, fiberglass.